is also known as The Seven Sisters. This worldwide favorite is sometimes mistakenly called the Little Dipper. 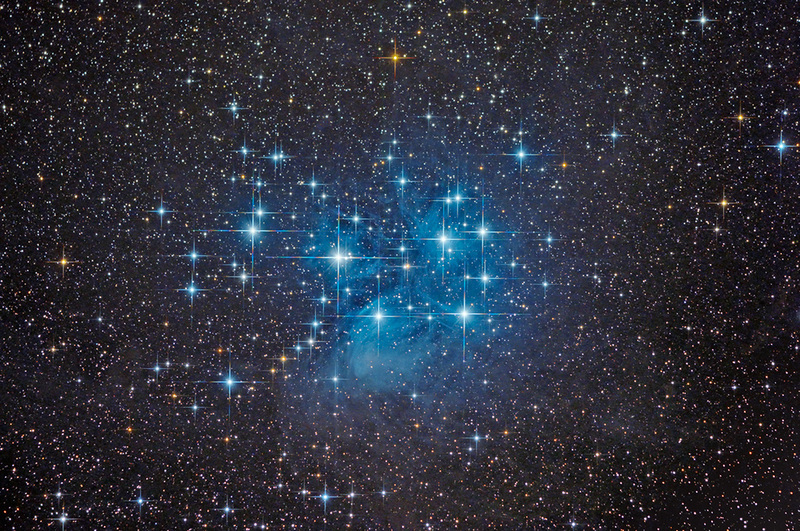 A beautiful Open Cluster of diamonds to the naked eye, the camera reveals rich swaths of blue reflection nebulosity. In Greek mythology the sisters were the daughters of Atlas and Pleione. Merope is the largest and brightest star at bottom center. A large-format print is featured in the traveling Starstruck: The Fine Art of Astrophotography exhibition.